and mouthwashes so it can’t possibly be bad for us right? When you consume fluoride through tooth brushing (toothpaste) it mixes in with your saliva and covers your teeth which provides that extra barrier of protection, strengthening enamel and preventing decay. The saliva works very hard to keep enamel hard and this is thanks to the mineral’s calcium and phosphorous. When these are mixed with fluoride it gives the mineral’s an extra boost which leads to teeth staying hard preventing any tooth decay from occurring for a longer period. So What Is Fluoride Actually Made Of? Fluoride is one of the elements found on the periodic table. It’s a naturally occurring mineral found all over the environment including the earths crust. It’s regularly added to drinking water to help reduce tooth decay. 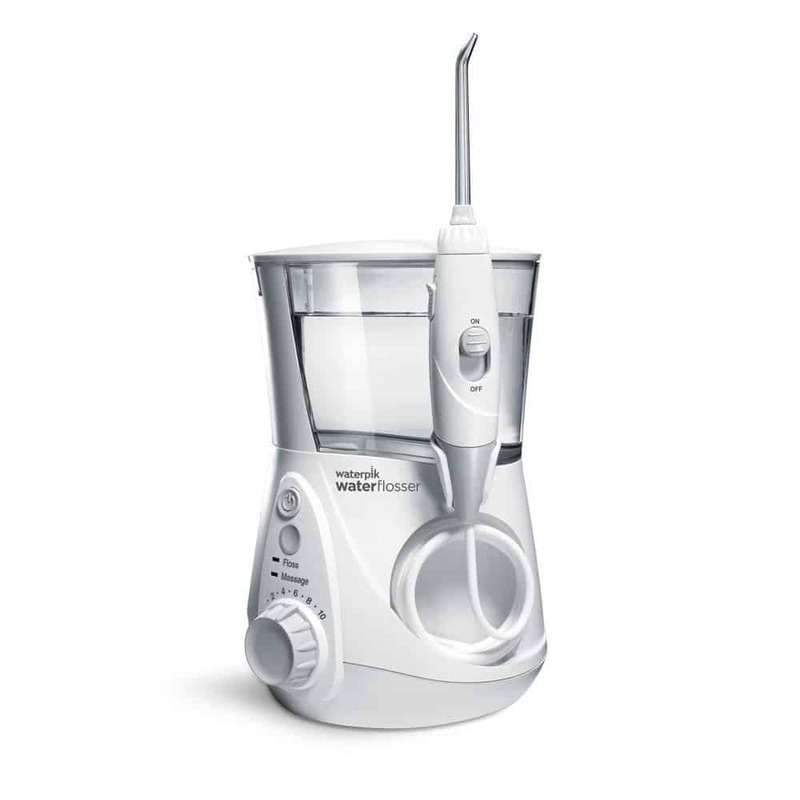 This concept first started in the 1930s when research was carried out stating that people who were regular consumers of fluoridated water had two-thirds fewer cavities than people living in areas that had no fluoridated water. Can Fluoride be Dangerous For Our Health As Some Suggest? Now this section is going to be an interesting read so strap yourselves in and enjoy the ride. There are many people out there who oppose fluoride being added to water and toothpaste because put simply, its a poisonous chemical. It can cause severe damage if consumed in large quantities. But fluoride that is mixed into water is a mixture of various chemicals which has led to it being classed as a level 4 on the hazardous materials scale, the highest category there is. It is illegal to dump this waste chemical and companies would be paying a hefty price tag if they were to indulge in this, but hey its okay as the chemical is sold to towns and cities where they can legally dump this fluoride waste into the water system. One particular study carried out in new Zealand showed that children’s teeth who did not have fluoridated water were slightly better than children who had been subjected to fluoride water. From a personal point of view, I have grown up on fluoridated water and have used fluoride toothpaste all my life and I don’t feel like I’m about to die, but my teeth are not so healthy. I have 2 cavities and my teeth are wonky and not aligned straight. When I was younger I also had a tooth growing from an unnatural place in the mouth on the upper gum line which had to be removed. I am not sure if any of the problems I have mentioned are correlated with my fluoride intake but I am a bit more wary about it after reading some journals. There are so many products on the market that contain fluoride that you might be thinking its actually really good for our health, WRONG! Too much of anything and especially a poisonous chemical can be detrimental to your health. What pops into your head when I say fluoride? Pesticides – due to its toxicity, fluoride is used in some pesticides to kill off unwanted insects. Tea – Tea plants absorb fluoride from the soil, In particular old tea leaves have a high concentration of fluoride especially black brewed tea (3-4 parts ppm fluoride). Quite a lot of studies have pointed out the link between excessive tea consumption to a bone disease called skeletal fluorosis. Mechanically deboned meat – Meats separated from a mechanical way I.e chicken nuggets, strips have elevated levels of fluoride because of contamination from bone particles during the deboning process. Chicken has the highest level of fluoride with a reading of 3ppm. Workplace exposure – In industrial workplaces it is common to be around fluoride contaminated air. Workers in many heavy industries such as steel, oil refining, aluminium etc. Have the potential to be exposed to high levels of fluoride daily. This can cause respiratory problems in some individuals. Is There Anything That Does Not Contain Fluoride? Spring water and unprocessed fruit, vegetables, grains, eggs, milk, and meat are some things you should consider if you want to reduce your level of fluoride intake. There are some exceptions to this rule (e.g., seafood, tea, water from deep wells, and fresh fruit/vegetables sprayed with fluoride pesticides). Just try to be as natural as possible when consuming food and look for fluoride free toothpaste which have been gaining in popularity over the last few years. Why Holistic Dentists Hate Fluoride? Research has forced people to rethink the way they use fluoride now, especially holistic dentists who are shifting to other alternatives. 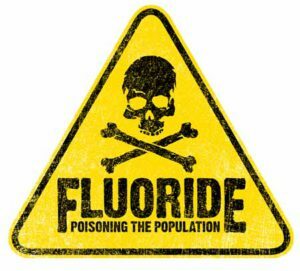 The main reason they dislike fluoride is because it is unsafe when used regularly, and many problems have come to light through this poison. Accumulation of fluoride will lead to weaker bones making them prone to fracture. This has been backed by numerous animal studies showing that lifetime use of fluoride will lead to higher rates of hip fractures in the elderly. 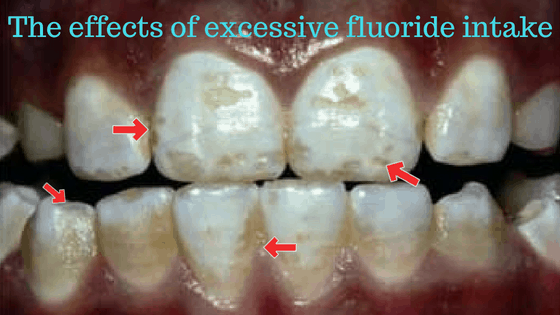 It damages the enamel through a disease called dental fluorosis. Between 40 – 50% of children have this disease on at least two of their teeth in areas where there is optimal fluoridated water. This was according to research carried out by Heller and Mcdonagh in 2000. 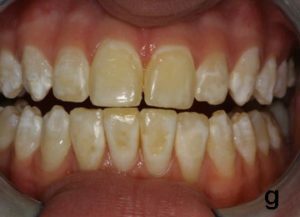 Dental fluorosis if you were wondering is a disease that causes a change in the colour of your tooth enamel, most types do not cause any major problems to do with teeth functionality nor any pain is noticed. With fluorosis, you will notice some small transparent looking white patches on the teeth. The main cause of this disease is due to increased consumption of fluoride over a period of time but usually occurs more commonly at a younger age (before 8). A study carried out in America in the year 2000 showed that fluoridation agents most commonly used were increasing the uptake of lead into children’s blood and was also associated with violent behaviour. Fluoride Also Kills Essential Proteins! One enzyme in particular is found in the saliva and helps to keep teeth remineralized by using calcium found in food. This enzyme is inhibited if fluoride is present within the mouth and is one of many reasons for so many tooth problems occurring, especially in children. Some of you might be getting a bit agitated about all this negative talk about fluoride but I’m just stating research and what other peoples opinions are on this subject. Should I Stop Taking Fluoride Products? 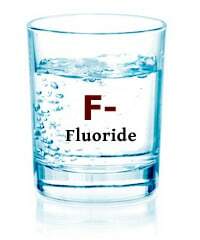 The only good researched thing about fluoride is its ability to help prevent dental caries. This is mainly because of Hydroxyapatite in teeth enamel which reacts with fluoride and helps strengthen the enamel. Hydroxyapatite is made up of calcium, phosphate and magnesium compounds which by themselves are prone to becoming eroded by the bacteria and acids, but because it reacts with fluoride it changes into fluoroapatite which is less susceptible to erosion by oral bacteria. Did you know that 50% of ingested fluoride is absorbed in the bones and teeth while the rest is ejected out in urine. Most of the ingested fluoride reaches the teeth through the saliva. It is widely accepted that fluoride only helps prevent dental decay by direct action on the tooth enamel predominantly after eruption and dental plaque. It is important to note that while fluoride helps in the remineralization process in the enamel of the tooth surface, it is not dependent on fluoride, and that fluoride’s anti cavity effect is critically dependent on calcium and magnesium content of teeth enamel. 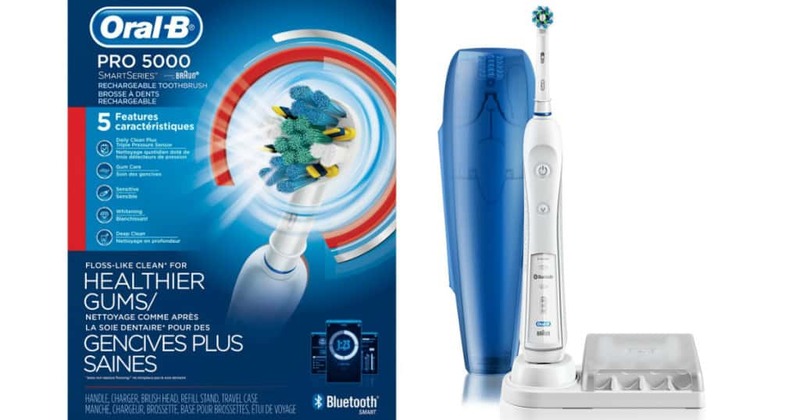 That being said, there is also research which has concluded that essential oils have an equally powerful if not more of an effect on oral health and preventing dental caries, so I suggest you start looking into alternative oral hygiene products that do not contain fluoride because let’s be honest, they do just as good a job as fluoride does. Coconut Oil – This contains antibacterial properties and is much safer than the endocrine disrupting triclosan found in fluoride products. Research points towards it helping to slow down the rate of bacterial growth and also decreasing plaque overtime. 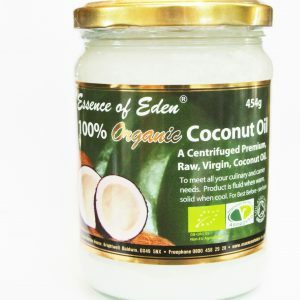 Get a good quality coconut oil and Swish 1 tablespoon around your mouth making sure to reach every area. Do this for 15-20 minutes but make sure not to swallow or gargle the oil as toxins will be present on the oil, instead just spit it out and rinse your mouth with water. If you repeat this process daily for 1 month you will see great improvements to your gums and teeth. Wheatgrass – Wheatgrass is packed full of vitamins and vital mineral’s in addition to containing plant nutrients which are thought to have antioxidant, antibacterial and anti inflammatory properties. No wonder it is a magical cure for everything. All the essential mineral’s can be achieved from this one product. Similar to coconut oil, you basically get a quality natural wheatgrass powder which can be brought from Amazon. Get ½ a teaspoon of the powder and put it into a shot glass. Add in some water and mix well as there might be some clumps. Simply swish it around your mouth for 1 minute and then spit it out. Try to break it up into 2 halves. Do half of the shot glass first, then brush your teeth. After brushing your teeth swish the remaining wheatgrass for another minute and spit out again. Try it for a month and see what happens, you won’t be disappointed! You basically use it as toothpaste by putting 3-4 drops of it onto a toothbrush and brushing as you normally would. 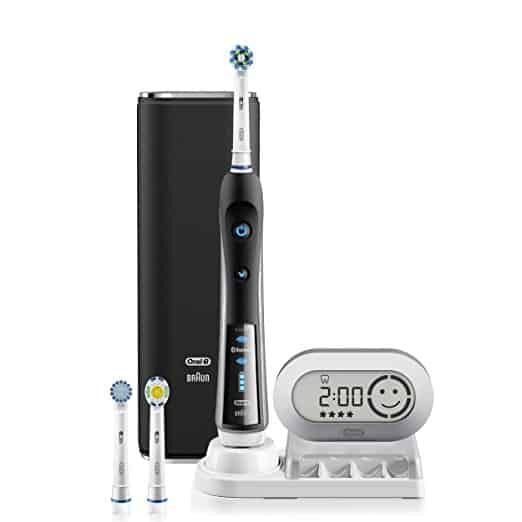 Overtime you will start to see your gums getting healthier and teeth getting stronger. 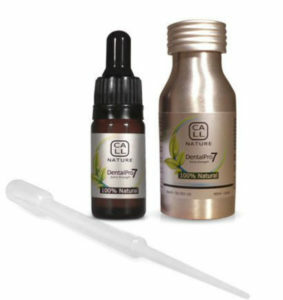 If you want to learn more about this product then read this post: Dental Pro 7 Review|Scientifically Proven? So there you have it, fluoride and its adverse effects on our oral health. It’s been used for decades and sold to us as something that makes our teeth healthy and prevents tooth decay. This is true to some degree as it has been proven to do so but its also had negative effects at the same time. We consume too much fluoride as a society and need to be mindful of this. What you should be thinking about now is getting products that contain no fluoride and see how they work. You might be surprised at how well oil based remedies work and what’s great about them is they are all natural, no chemically modified poison that is constantly shoved down our throats. If you have any questions or think this post has been biased against fluoride then please get in touch by commenting below and we can have a community discussion to see whose right. Yes that is a very sticky subject. Some people say fluoride is the way to go others would completely disagree. As you said though you are just stating the facts. People get to choose from there. Nice to see you have given those who would like to avoid fluoride alternatives. Coconut oil is one of my personal favorite. It’s really hard talking about a subject like this, on the one hand it’s used by 90% of people around the world but on the other hand i don’t think people fully realise the negative effects it can have on them. What i was trying to get across was the fact the there are other alternatives out there apart from fluoride that you can try out and see if they give better results. In my city, there has been the fluoride debate forever! It comes back with every new administration it seems. I remember my Mom putting fluoride drops in our OJ as kids and I had the dentist tell me that’s why I have such good teeth. Hmmm. This is for sure a tough debate. I can’t see myself being able to stomach coconut oil rinses but the essential oils are a possibility. Are there any pastes out there that you would recommend for us that just can’t seem to wrap our head around using anything but? I will leave this comment on your actual page as well but I’m currently getting a server error when I try. I really like how well researched this post is. Being a bit of a science geek I found it very compelling. The link to your review worked well and it sounds like a very interesting product to try as an alternative to toothpaste, coconut oil and wheatgrass. The post is nicely laid out and encourages you to read from top to bottom. I completely understand where you are coming from, Fluoride is one of those subjects that people get confused about, because the dental community say one thing but research carried out by scientists shows something else. In my opinion if 90% of the population is using fluoride and all the major health organisations back it then we shouldn’t worry too much. Thanks for your input on this subject. Fluoride has polarising opinions, you have dentists on one side and scientific journals on the other. And now the general public are realising the potential dangers fluoride can have. However i would suggest you don’t strictly use baking soda everyday to brush your teeth as it’s abrasive and has the potential to cause enamel loss over a period of time. There are other less abrasive fluoride free toothpastes on the market so just look around and see what you find appealing. Very interesting information on fluoride. Yes, it is everywhere…in the water and in our toothpaste, so it is highly likely for a high number of people to be exposed to fluoride. In excessive amounts or quantities, fluoride is detrimental to one’s health, so we personally have to choose whether the benefits outweigh the cost and thankfully there are some great alternatives available like essential oils. Yes, some people actually have no idea what goes into their mouths which is dangerous. Everyone should do their own research and weigh the pros and cons and decide if they still want to continue with it. Fluoride is one such substance that has benefits and negatives so read carefully to make your mind up.